Juzo Dynamic Thigh High Stockings with Hip attachment help you live an active life, more comfortably. 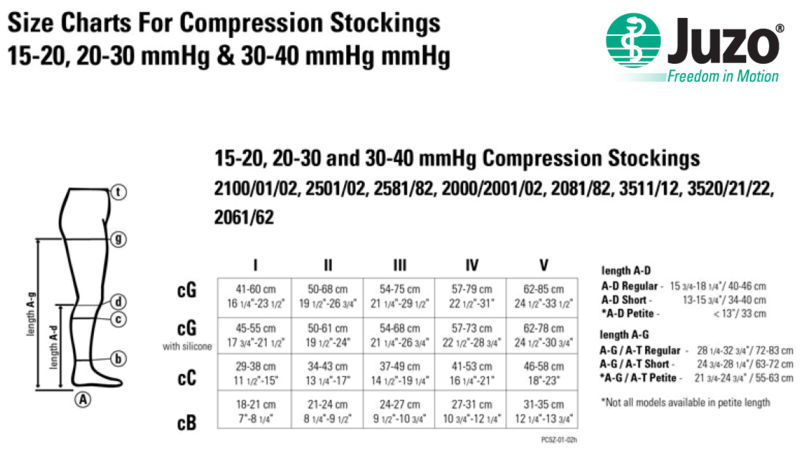 With the high degree of containment, they deliver firm therapeutic compression for the management of Edema, Lymphedema and advanced Venous Disease. 5 Different sizes: Size 1 to 5.